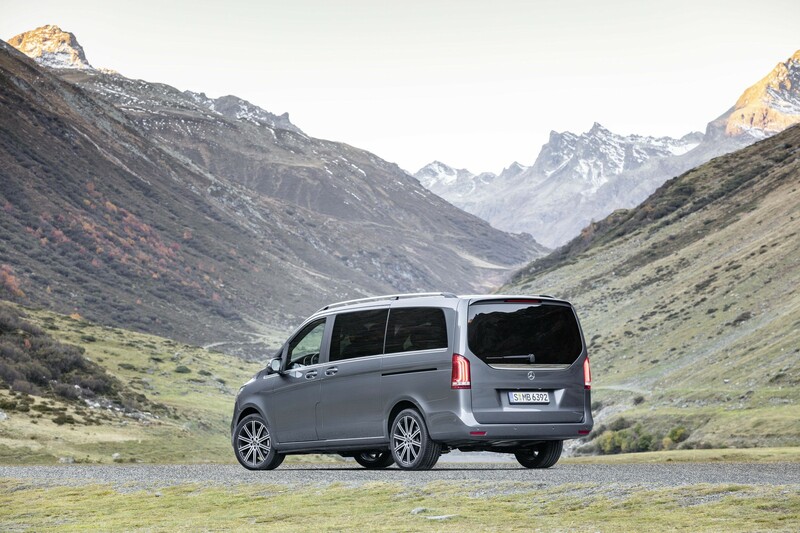 Mercedes-Benz has updated its V-Class large MPV with improved efficiency and new driver assistance systems. A fully-electric V-Class concept called ‘Concept EQV’ will debut at the Geneva Motor Show and is expected to be followed by a production version. The facelifted model features a redesigned front end and a range of enhancements to improve passenger comfort. 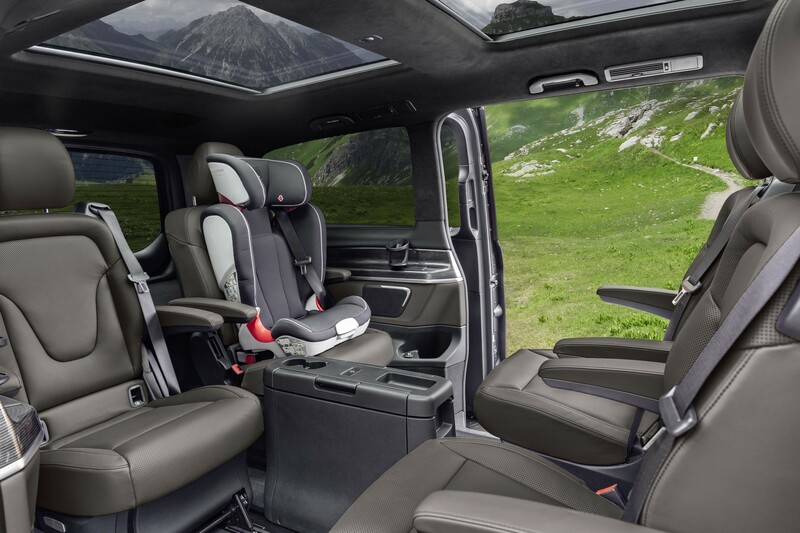 Inside, the V-Class is fitted with redesigned instruments and a 10.25-inch infotainment display. Existing Sport and AMG Line trims are joined by a new Exclusive line, which features reclining rear seats with heating, cooling and massage functions. 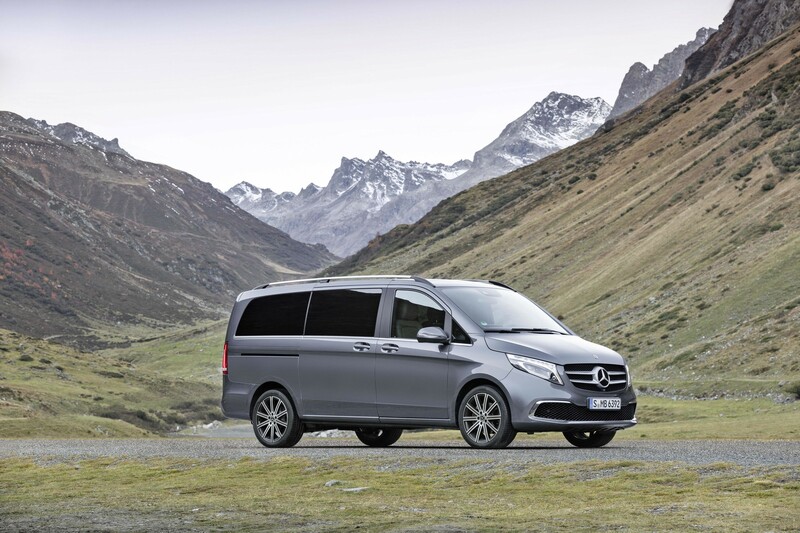 The V-Class is now available with a 239PS diesel engine, which emits 154-165g/km of CO2 and can return 44.9-47.9mpg. With 500Nm of torque, the V 300 d can accelerate from 0-62mph in 7.9 seconds. A V 250 d will also be available, with 187PS. 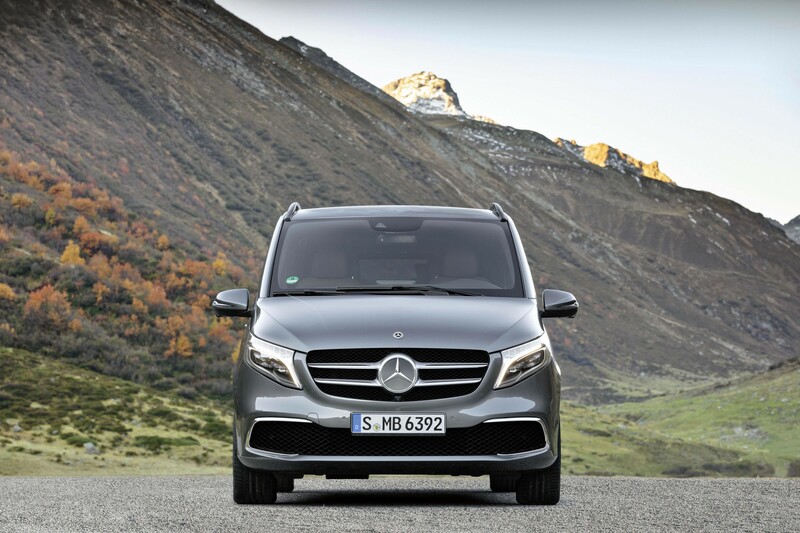 Mercedes-Benz says the new engine offers improved noise and vibration characteristics. 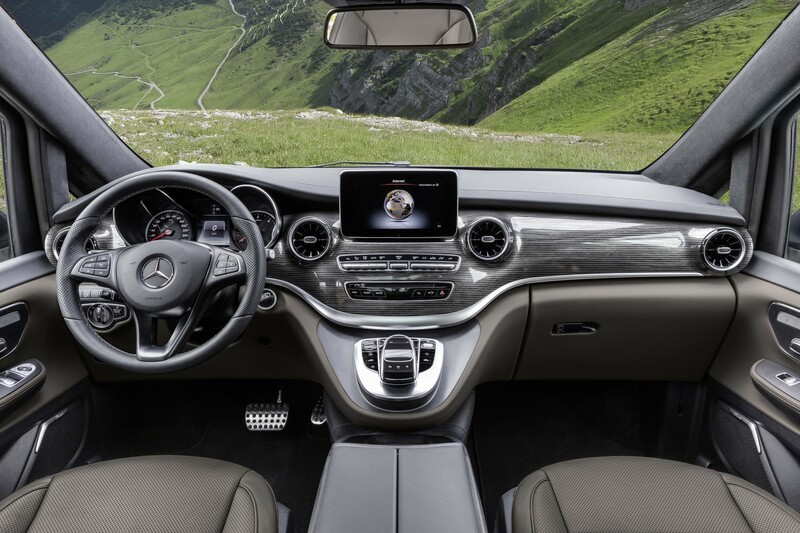 A nine-speed automatic gearbox is now offered instead of the seven-speed version previously fitted to the V-Class. Driver aids include Active Brake Assist. The new system provides a warning when it detects a potential collision and can apply the brakes if needed to suit the situation. Highbeam Assist Plus is also standard, along with LED headlights. When using main beam the system will prevent dazzling of other road users by partially deactivating the light. 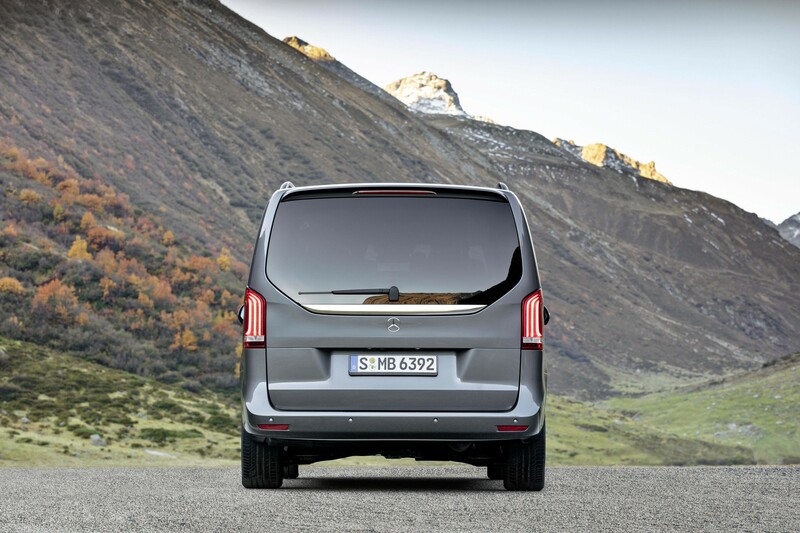 Short, medium and long wheelbase versoins remain available, alongside the Marco Polo camper. Prices are yet to be announced but are likely to be higher than the old model, which cost from £51,700.